There is no witty wordplay nor shocking truth in our title today, but that is quite by design – we simply did not want risk underselling Roman Mars, the maker of a radio show that covers architecture, design and cities at a level more than sufficiently clever to speak for itself. Below, we will share with you a hand-selected set of some of the most fascinating episodes 99% Invisible has aired to date. If you like what you hear, be sure to support the program on Kickstarter. Roman Mars, host of 99% Invisible and Progam Director of Public Radio Remix from PRX, crafts artful stories that reveal hidden realities in the built environments around us and celebrate secret histories of seemingly ordinary spaces. 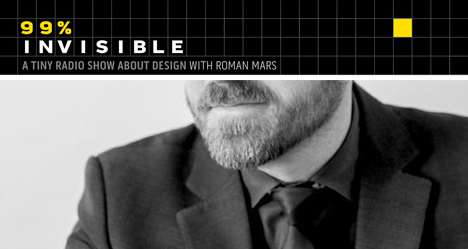 Roman has 450,000 listeners on SoundCloud and has won praise from the likes of This American Life and RadioLab – two programs that this author has regularly compared to 99% Invisible (“It’s like RadioLab for design geeks”). Today, from the lawless metropolis of Kowloon Walled City to the tame suburbs of the American cul-de-sac and beyond, we invite you to explore a series of compelling stories from this stellar radio show, with more links and information at the end of this article. Kowloon Walled City, covered previously on WebUrbanist, was a lawless metropolis – a strange no-mans-land between (then) British Hong Kong and mainland China. 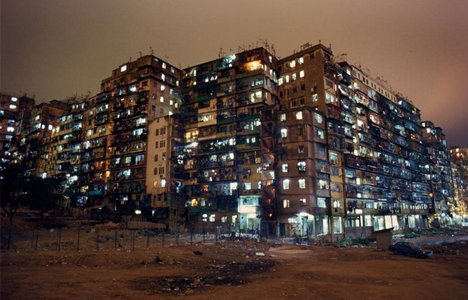 “By its peak in the 1990s, the 6.5 acre Kowloon Walled City was home to at least 33,000 people (with estimates of up to 50,000). That’s a population density of at least 3.2 million per square mile. For New York City to get that dense, every man, woman, and child living in Texas would have to move to Manhattan.” Even with pictures, it is almost impossible to visualize – but listen to the above tale and it starts to come alive the same way a fictional city rises from the pages of a book. 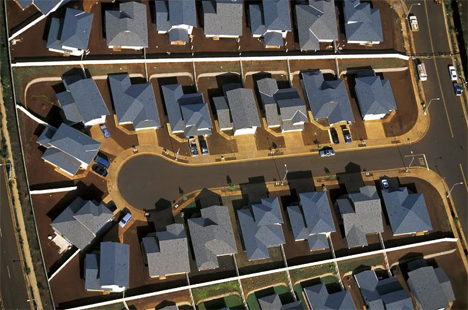 The cul-de-sac once represented the American Dream, but has in the minds of many turned from a utopian ideal to a dystopian symbol of dead-end suburban life. “When people critique cul-de-sacs, a lot of the time, they’re actually critiquing the suburbs more generally. The cul-de-sac has become sort of like the mascot of the suburbs– like if suburbia had a flag, it would have a picture of a cul-de-sac on it. Cul-de-sacs by definition aren’t well connected to other streets and they are far away town centers. For little kids, cul-de-sacs can be great, but they do have some real, quantifiable design flaws.” In the episode above, Roman and a guest explore the back and forth, exploring the evolution and alternating emphasis on urbanization and suburbanization, and changes in regulation that first allowed and are are now destroying these strange street layouts. Skateboarding enjoys a dubious reputation in most cities – some places are set aside for skateboarders in some cases, but many of the best impromptu skate parks (at least: from the perspective of skaters) are those that are forbidden. “Though its official name is JFK Plaza, the open space near Philadelphia’s City Hall is more commonly known as LOVE Park. With its sleek granite benches, geometric raised planter beds, and long expanses of pavement, its success as a pedestrian plaza is debatable. But it turned out to be perfect for skateboarding. As skateboarding culture grew in the 1990s, LOVE Park became a Mecca of the skating world–even though skateboarding was officially banned there.” Even if you hate having a skateboarder whip by you on the sidewalk, you may find yourself softening to their perspective as you listen to this episode.